Size of this preview: 540 × 599 pixels. Other resolutions: 216 × 240 pixels | 433 × 480 pixels | 541 × 600 pixels | 858 × 952 pixels. 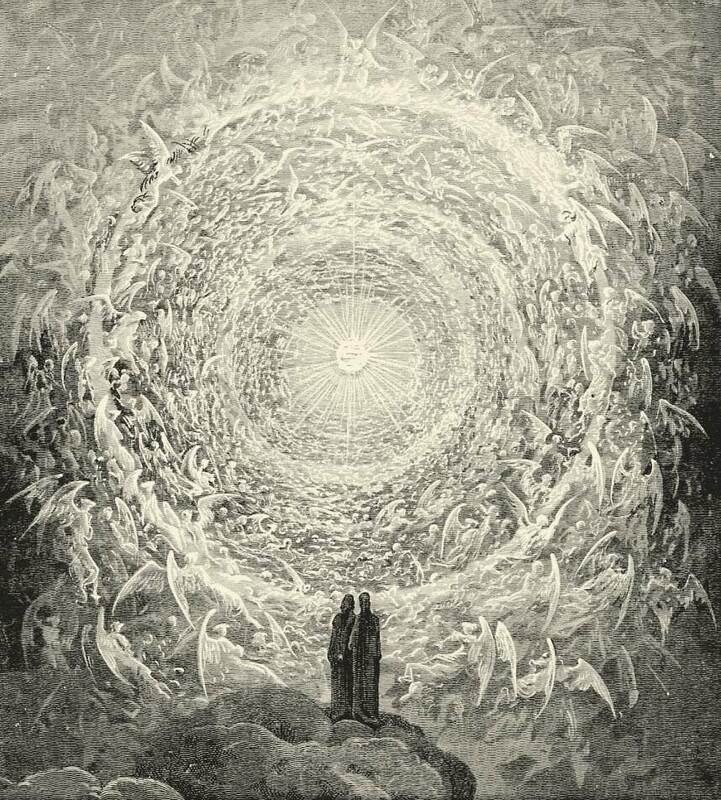 Source Alighieri, Dante; Cary, Henry Francis (ed) ( 1892 ) "Canto XXXI" in The Divine Comedy by Dante, Illustrated, Complete, London, Paris & Melbourne: Cassell & Company Retrieved on 13 July 2009 . This is a retouched picture, which means that it has been digitally altered from its original version. Modifications: contrast arranged, duotone made to keep the old aspect, converted to RGB for jpg format. Modifications made by DarkEvil. current 17:55, 20 December 2006 858 × 952 (196 KB) DarkEvil Arranged contrast, and then made a duotone to keep the old aspect, converted to RGB for jpg format. If my arrangement is not wanted, just revert.